Healthy sales and strong profits are making private U.S. companies increasingly attractive prospects to bank lending departments, according to James Noe, an analyst with financial information company Sageworks in Raleigh, NC. 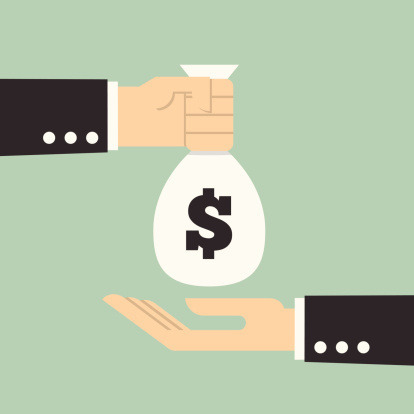 According to data collected by Sageworks Bank Information, a web-based platform that includes data on all U.S. banks and credit unions, total outstanding small business loans grew by 2 percent, or $12 billion, between 2013 and 2014, for a total of $630.8 billion in small business loans in the year. It was the first annual increase in such loans since 2010. To determine which banks loan most to small businesses Sageworks analysts looked at volume and percentage of total loans. The firm’s ranking of U.S. banks by the total dollar amounts loaned to small businesses last year put Wells Fargo, Bank of America, and JPMorgan Chase at the top. 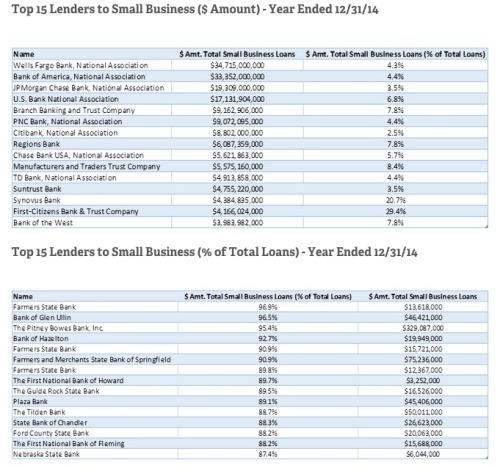 But small businesses represented less than 5 percent of those banks’ overall loan activity. As a percentage total loans, Farmers State Bank in Humphrey, Neb., Bank of Glen Ullin in Glen Ullin, ND, and Pitney Bowes Bank of Salt Lake City each allocated more than 95 percent of total loan dollars to small businesses in 2014. Among big banks, Synovius and First-Citizens Bank & Trust showed the most small business activity, with more than 20 percent of loans going to small businesses. The tables here show Sageworks Bank Information rankings of the top 15 lenders to small business by amount and percentage of loans.